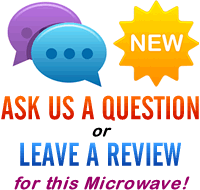 Good value, simple to operate, ideal starter microwave. May be slightly too small for larger households - check the dimensions before purchasing. 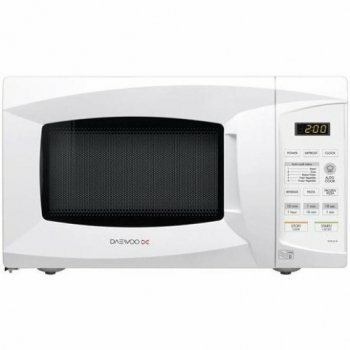 The KOR6L1B from Daewoo is an inexpensive solo microwave featuring a 20 litre capacity, 35 minute timer and 700w of power output. The exterior is finished in an easy to clean white colour scheme, and the controls, situated on the right hand side, are easy to operate. We were impressed with how well labelled the buttons were, making this microwave very easy to use straight from the box. The construction is pretty solid, especially considering the price tag, and during our extensive testing period, it performed pretty well, with our test team impressed overall. Volume is 20 litres, with an interior measuring 31.5cm by 29.7cm by 19.8cm, which should be adequate for the majority of users. So would we recommend the KOR6L1B? The Daewoo KOR6L1B is a budget microwave, which despite it's relatively small price tag offers decent performance. It feels well built and the KOR6L1B should prove to be a reliable solo microwave.